Here are some great acoustic guitar binding ideas that you can try on your next build. When you are looking for an area of the guitar to express yourself, the binding is a fairly safe place to showcase your work. 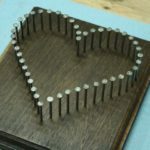 Binding can be very simple, or extremely elaborate. It just depends on the look you are going for. 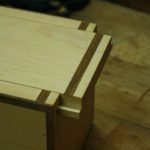 The first major upgrade you can make to a basic binding scheme is to use more purfling strips in the look. On this guitar, there is a purfling strip on the side. There are two more on the top as well. An old standard is the black/white/black purfling strip. This one strip is so versatile that it can be used in conjunction with nearly any binding scheme you come up with. 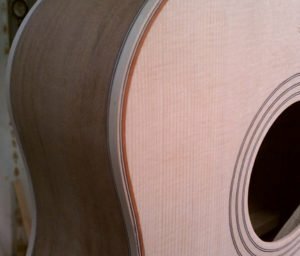 On this Rosewood and Spruce guitar, the BWB strips are on the sides, and the top. Next to the BWB strip on the top is a herringbone strip. These come in a few sizes based on the thickness of the pattern. A fine herringbone pattern looks great next to a BWB purfling strip, and they look seamless. Another great acoustic guitar binding idea is to cut an exotic wood strip to add some color to your binding. I this case, the Padauk was glued to the Goncalo Alves in a large slab. Then, strips were ripped from the edge on the table saw. The strips can then be bent on the hot pipe, and glued in place like normal. You do have to be a little careful not to get them too hot. The glue will start letting go if you allow the piece to stay hot for too long. In this guitar, the addition of a thin strip, about 1/3 the size of the main binding adds a nice splash of color. 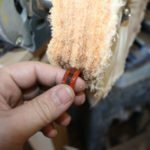 You do not need to use as bold of a color as Padauk. If this were done with Rosewood it would look great too. The darker color would frame in the Sapele on the sides, and create a box around the outside. This would add a little more weight to the sides. 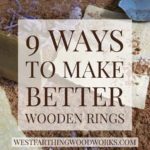 You can also use exotic wood strips on the top of the guitar. This is more like a traditional purfling strip. The only difference in installation is rabbeting in a little farther on the top. It is fairly uncommon to see a bold color used in the binding around the top. When you create an instrument like this, it will be noticed from across the room. The Padauk on this guitar top is very bright, and really shines under a finish. 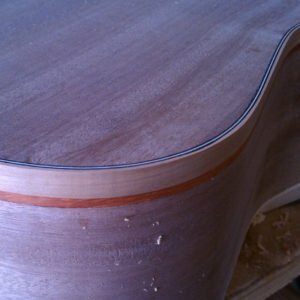 Acoustic guitar binding with the addition of a single thin hardwood strip is no more difficult to install than a standard binding and purfling design. You just route two ledges, and glue in the strips. Adding another element to the binding and purfling makes the design stand out. Again, showcasing some flair in your acoustic guitar binding is a great way to have a little fun without altering the sound of the guitar. 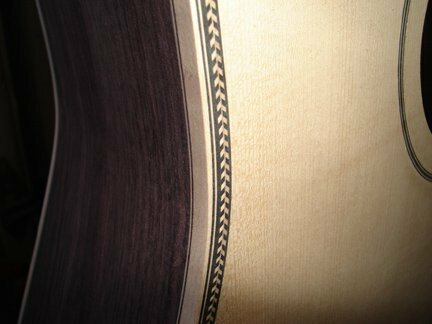 There are several safe places to color outside the lines in acoustic guitar making. These let you add custom elements without worrying about ruining the sound of the guitar. 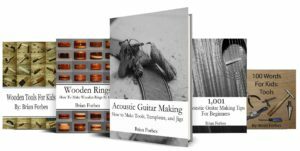 covers binding, and many other guitar making topics. With over 500 pages and more than 1600 images, this book is packed with great information for beginners. 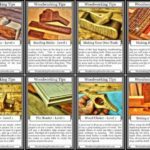 It also teaches you how to make over 50 tools, templates, and jigs, saving you quite a bit of money over buying these new. 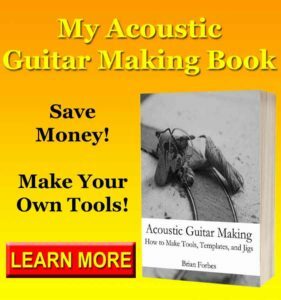 If you have any questions on Acoustic Guitar Binding Ideas, please leave a comment and I will be glad to answer them. Also, please share my work with your friends on Pinterest! Happy building.